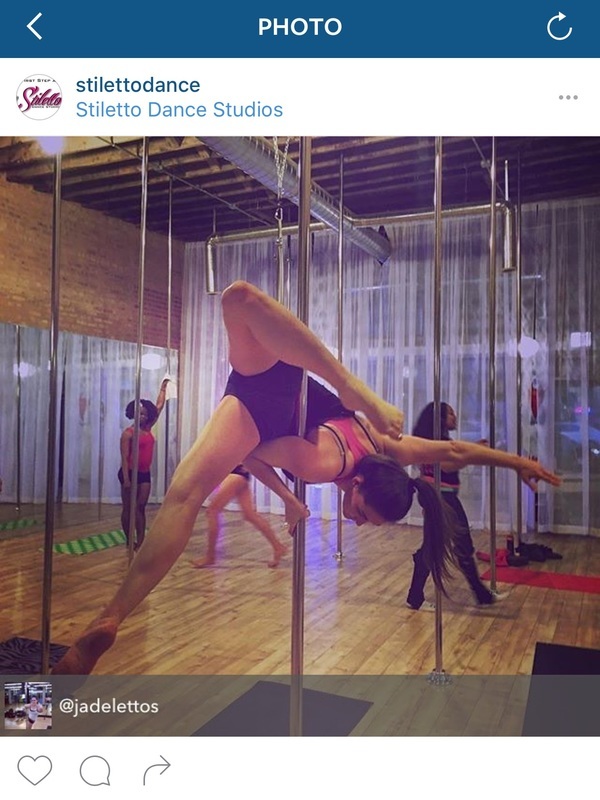 Jade Lettos began pole dancing, and fell in love with it immediately. She was a synchronized swimmer in high school, and has always been passionate about alternative forms of exercise that challenge the mind as well as the body, and allow for creative self-expression through movement. 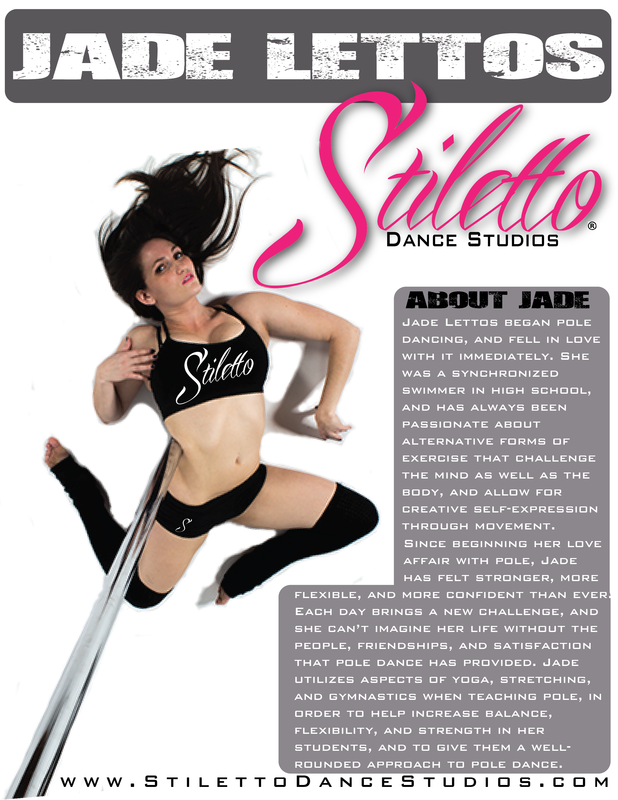 Since beginning her love affair with pole, Jade has felt stronger, more flexible, and more confident than ever. Each day brings a new challenge, and she can’t imagine her life without the people, friendships, and satisfaction that pole dance has provided. 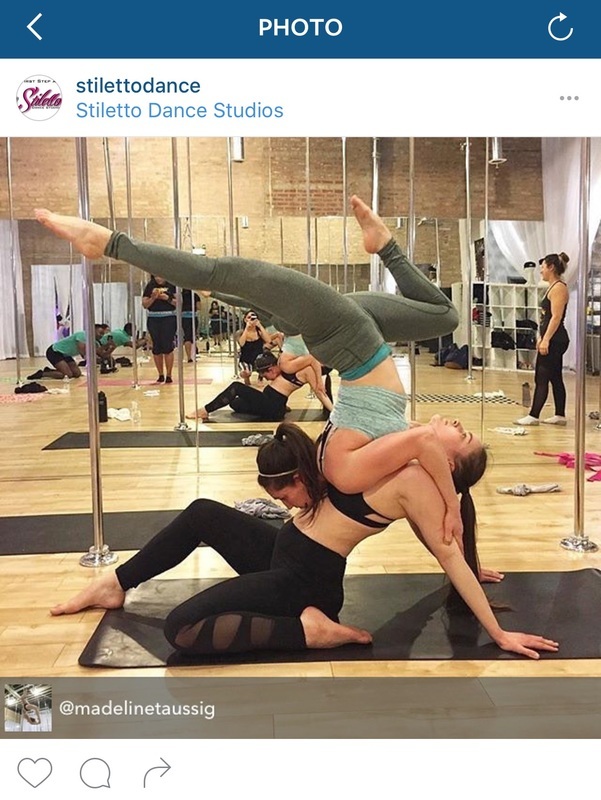 Jade utilizes aspects of yoga, stretching, and gymnastics when teaching pole, in order to help increase balance, flexibility, and strength in her students, and to give them a well-rounded approach to pole dance.